Each of the major works in this volume and each group of related writings are preceded by detailed discussion of manuscript sources and dates. 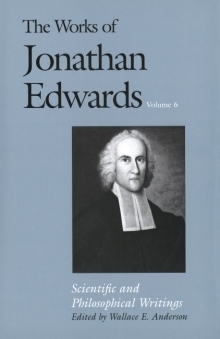 In his introduction Anderson makes these the basis for a revised account of the chronology of Edwards’ early writings and a deeper investigation of their biographical and historical context. Also included in the introduction are a new appraisal of Edwards’ efforts and achievements in science and an analysis of the developmental of his philosophical views. Anderson concludes from his research that Edwards was an enthusiastic, though untrained, investigator in the Newtonian tradition and that he grappled with the major metaphysical problems raised by this tradition. The papers reveal with special clarity the fertile and inquiring mind of our leading eighteenth-century philosopher-theologian. Wallace E. Anderson is associate professor of philosophy at Ohio State University.